Over the weekend, I expressed my disappointment with my longtime airline -- United -- for succumbing to the left-wing outrage machine and publicly severing corporate ties with the National Rifle Association. As I noted in my tweet thread (below), I'm neither an NRA member nor a gun owner or enthusiast. Nevertheless, I've found it profoundly grating so see corporate America cowering before a loud, organized mob that browbeats corporations into taking sides in the culture war. It's exactly the sort of endless and boundless politicization of everything that we decried in our book. I resent it, just as I resent the feeling that a company to whom I give many thousands of dollars each year is actively alienating me through partisan signaling. So I guess I’m going to just sit here and wait to see if @AmericanAir joins the culture war pile-on & then reevaluate my decades-long relationship with @United. I don’t want flying to feel like a political statement. United has put me in a gross spot & I resent it. After the Parkland, Fla., high school shooting, several prominent companies ended their businesses relationships with the National Rifle Association — and some are facing backlash in public opinion, according to a new poll. A Morning Consult survey of 2,201 U.S. adults conducted Feb. 23-25 found increases in negative views of businesses that severed ties with the NRA after consumers learned of them. The poll’s margin of error is plus or minus 2 percentage points. 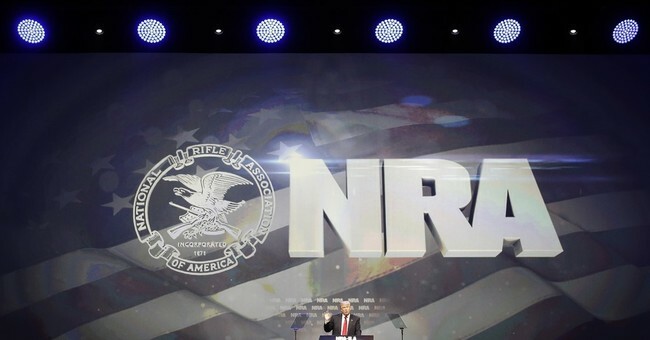 MetLife Inc., the insurance giant that ended a discount for NRA members last week, had a 45 percent favorable rating, compared to a 12 percent unfavorable rating, before survey participants were informed of that move. After learning of it, respondents with an unfavorable view of the company doubled to 24 percent, while its favorability rating was unchanged...Unfavorability ratings for the three major rental car brands associated with Enterprise Holdings Inc. — Enterprise Rent-A-Car, Alamo and National Car Rental — all more than doubled among surveyed adults after they learned about the companies ending discounts for NRA members. Delta shouldn't get any special tax breaks. Also, Delta's foreign competitors shouldn't get US-backed financing for their aircraft. Finally, Delta should have the right to refuse contractual arrangements on conscience grounds. This is what we're becoming, and it's terrible to watch. But these are the new rules and new realities. American companies should think twice before wading into divisive political issues, and shouldn't assume that the most vocal shouters are representative of the country. Crossing the Left may be a headache, but crossing the Right isn't without consequences.